Alright, something just happened to you that you've deemed worth writing about in your reflective learning journal. There is a ton of information and there are numerous ideas going through your head. You're bound to lose track of at least a few of those concepts. So, how to write in your journal? Consider scribbling down some specific phrases to keep those ideas in your brain, and then eventually put them into your diary. If you're writing a diary entry about something stressful that's bugging you, breaking it down to its simplest terms can make these issues feel like they've been cut down to size a bit. Once you've got a few key phrases that you know you want to come back to, now is the time to let it all flow in your reflective learning journal. Let the pen or the keyboard go nuts, ignore the “backspace” key and don't scribble anything out. It's crucial that you let your mind be free from criticism and doubt, as this is your time to write until you feel like you can't anymore. Don't go back and read anything you've written until you're convinced that you've made satisfying progress and you can take a deep breath. So, you've finally stopped writing and you're ready to see what you've had clogged up in that subconscious of yours. You've been trying to avoid reading the last several pages, but now is your chance scratch that itch. This is still not the time to be critical of your writing, though. This writing does not have to be “good” by traditional standards. You're now reading to reflect, which is essentially why you started writing in the first place. Read slowly and deliberately, then spend some quiet time considering what you're thinking about. While reading, you can also make notes to more fully expand on your thoughts, or remind yourself to reflect again in the future. Your diary entries record the events of your day and how you feel about it. To get the most from your journaling experience, look deep inside and ask yourself some self-reflective questions after writing. For example, examine your current feelings compared to your earlier feelings by asking, "Do I still feel this way?" Analyze your reactions and prepare for future similar events by asking, "Could I have reacted in a more positive manner?" Think about the lessons learned from the event and your reaction to it by asking yourself, "What lessons have I learned from the experience; and how can I use the information going forward in my life?" 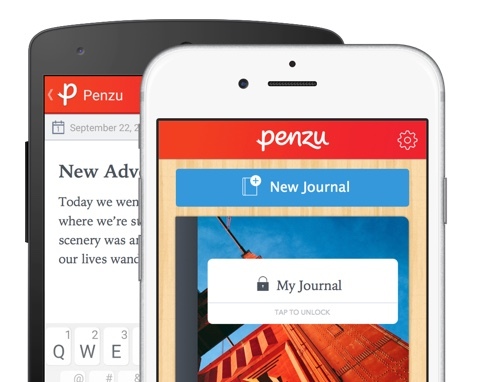 There was a time when you would have to do your best to remember these reflections, but now Penzu does all the remembering for you.